Do you want to make something yummy, healthy, and quick? Try these guys. They are super tasty and really quick to make. 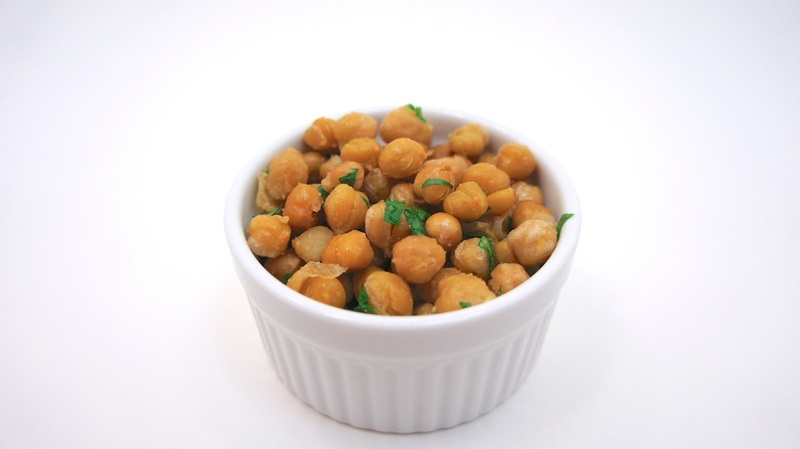 If you have chickpeas in your pantry these can be made as a quick snack. This recipe can be made with any spice of your liking. Garlic salt is a great choice, but if you want them with a bite, then put in some chili powder. Curry powder sounds delicious as well. Drain the chickpeas and rinse with water. Let sit in the colander until mostly dry. In a frying pan put in the oil to coat the bottom and warm slightly. Caution, olive oil burns easily. Add the dried chickpeas and move them around the pan until coated in olive oil. 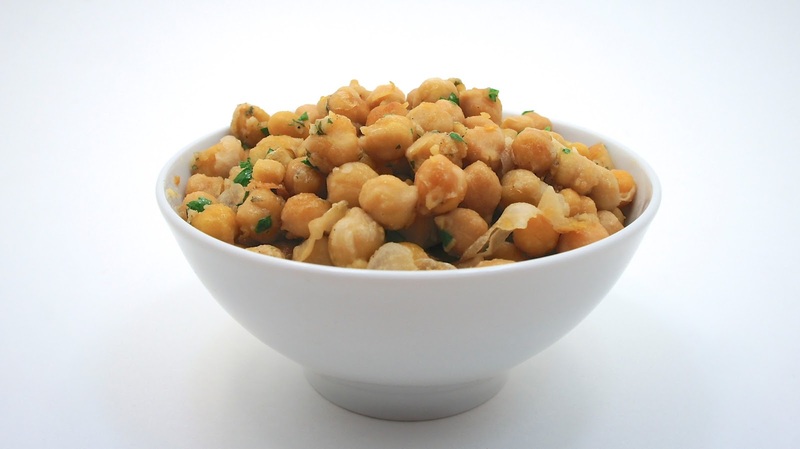 Cook the chickpeas until they turn a light golden color; constantly moving the pan around. Right before you remove them, add your spices of choice (garlic salt, chili powder, ranch powder, curry) and toss lightly to coat each piece. Eat warm or cold, both ways are delicious. Just watch out, they will be gone before you know it.